This set of three pages includes all the lower case a – z letters. First trace the letter, then practice writing the letter one or two more times. 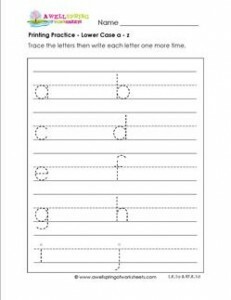 Go to this page to see all the printing practice lower case letter worksheets in this set.